Our best ever short stay. We cannot find fault with this wonderful hotel. Great location (by the river) The most helpful and friendly staff, nothing was too much for them. The best breakfast selection we have ever seen. They seem to have thought of everything here, even a free mobile phone to use around the city. 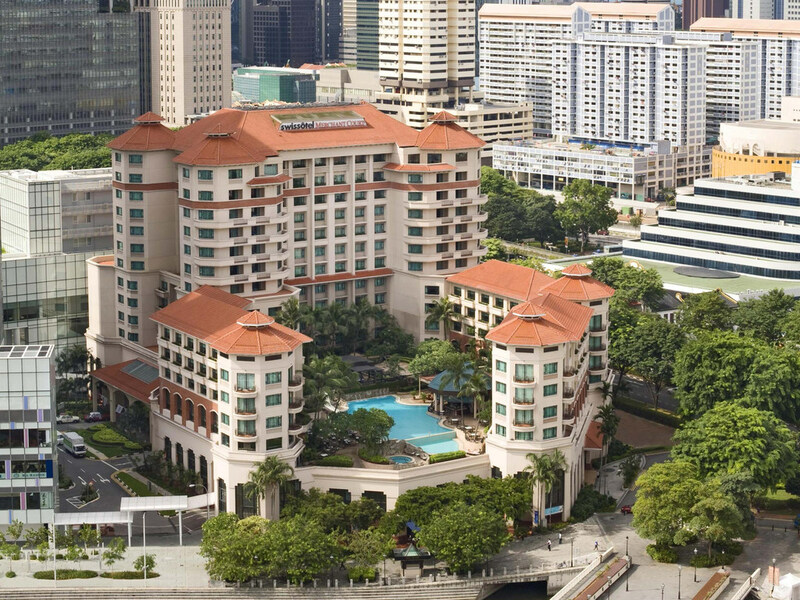 If we stay in Singapore,(great place), again it will be at the Swissotel. Very nice room, comfort bedding , great customer service, and excellent location. Happy with the hotel. Hotel restaurant/didning quite limited. It was great we get to check in early 2hrs . Staff are courteous and overall stayed are wonderful. i like the location of the hotel, very nice room with nice coffee and tea. lots of bars and restaurants opposite to the hotel, have a night walk there felt good. Could it be that we booked thru hotel.com..that we ended up with no view, unless you call looking straight into the officebuilding is a view. An hotel located at the oasis of entertainment area Clark Quay bring to very much convenience. clean, quiet, nice coffee in room and good working desk. the hotel is in a great location and is very comfortable. the staff are all friendly and very willing to help. facilities are good with nice gym and pool. if recommend staying here. Excellent location. Bright and spacious reception area that connects two F&B outlets (Crossroad bar and Ellenborough market cafe. Having stayed at this Swissotel before, I can only recommend this outstanding hotel. The service, rooms, ambiance and especially the location, makes this a perfect get-away for anyone visiting this lovely City. We stayed for two short stopovers and the service was excellent. Our rooms were well furnished and spotless. Breakfast was very good and there was a large selection of food well cooked. The pool area was very clean and there were towels readily available. I used the spa and it was a very relaxing experience from experienced staff. I always have a good experience with you. Your staff are wonderful and the central location very flexible for me. My room was lovely and the staff were friendly and helpful, especially Aubrey in the Club Lounge who went out of her way to ensure I was well looked after. Attention to detail and staff friendliness was exceptional. Handy phone provided with the room for local an£ international calls was a huge bonus and benefit. Very pleasant stay. Comfortable, fresh, clean, spacious.